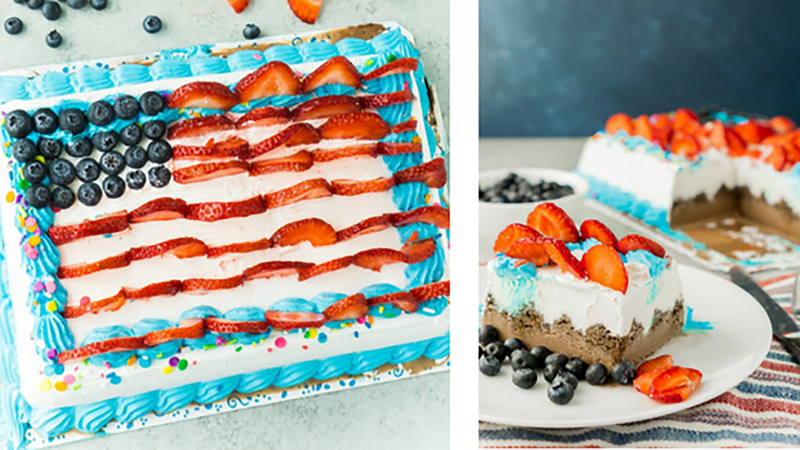 Our friends at Party, Plan, Play created this cute and delicious DIY American flag ice cream cake. 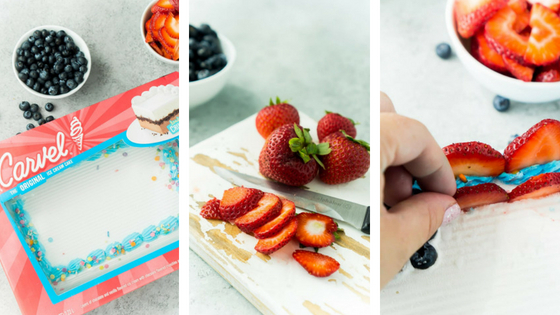 Strawberry stripes and blueberry stars also make this a fun project with your favorite kitchen helper. 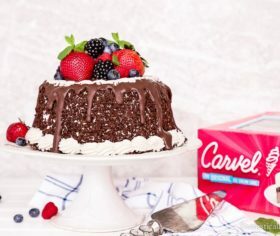 1 Carvel® Sheet Cake, 1 pack of fresh strawberries, 1 pack of fresh blueberries and a non-serrated kitchen knife. Step 1: Wash your fruit! Step 2: Slice your strawberries in halves, vertically. Then, slice each halve into thin slices, yet thick enough to stand on their own. Step 3: Create the stars portion by adding four rows of six blueberries. 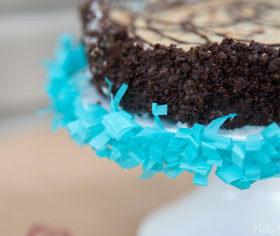 Step 4: Add the sliced strawberries on the cake horizontally to create the “red and white” stripes. Continue to add strawberry stripes until desired look is achieved. 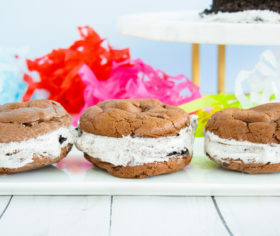 Step 5: Enjoy!! If you aren’t serving immediately, we recommend putting your cake back in the box (don’t worry, the strawberries fit just fine) and placing the cake in the freezer until 15-20 minutes before serving time.